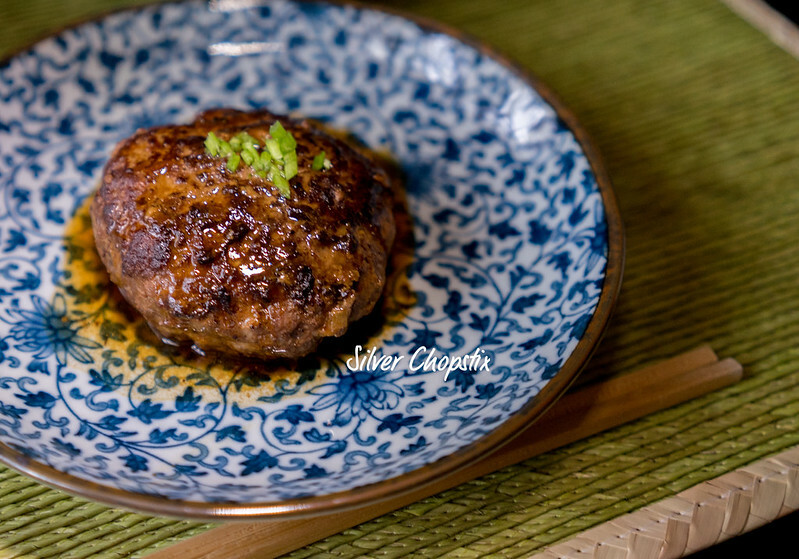 This is my take on the Japanese style hamburger steak known as “Hambagu”. 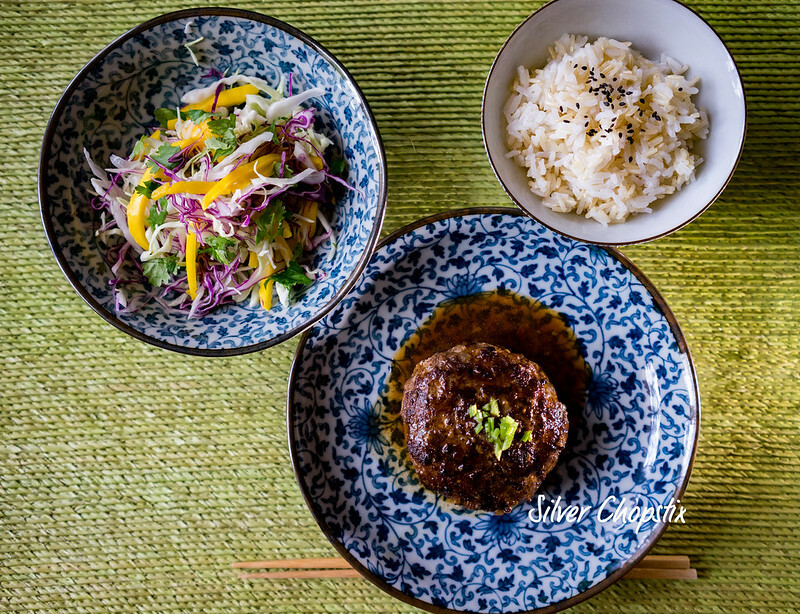 It is referred to as “Yoshoku” or western influenced cooking which dates back to the Meiji period or restoration. This is the time when Japan opened it’s doors to the western world. Part of the reforms made by the emperor was the promotion or introduction of western cuisine where meat is the main ingredient. This dish was believed to have been first served in Yokohama during the Meiji period according to wikipedia. This dish is very similar to what we know as Salisbury Steak. To make this dish you will need 1-1.5 lb ground beef, 1 egg, 1/4-1/2 cup bread crumbs, 1 medium sized finely chopped onion, 1/4 cup worcestershire sauce, 1 tsp. salt and 1 tsp ground black pepper. Place all your ingredients in a bowl and with your hands using food safe gloves mix well to combine. Divide your meat mixture into four equal parts. Take one portion of your meat and form it into a ball or patty then toss this back and forth in your hands like a baseball. Do this repeatedly about 5-8 times to ensure that there will be no air inside the patty, thus avoiding cracks while cooking. Heat a non-stick pan and add 1-2 tbsp. vegetable oil. Then place your patties and cook for 5-6 minutes on medium to low heat until a nice brown crust is formed. Then flip your patties and cook for an additional 5-6 minutes. Combine in a small cup 1/4 cup ponzu sauce and 1 tsp sugar, pour this onto your pan and cover. Let the patties simmer in the sauce for 2 minutes under low heat. Remove from heat and transfer patties to a serving plate. Pour a little of the sauce onto your patty and serve with rice. 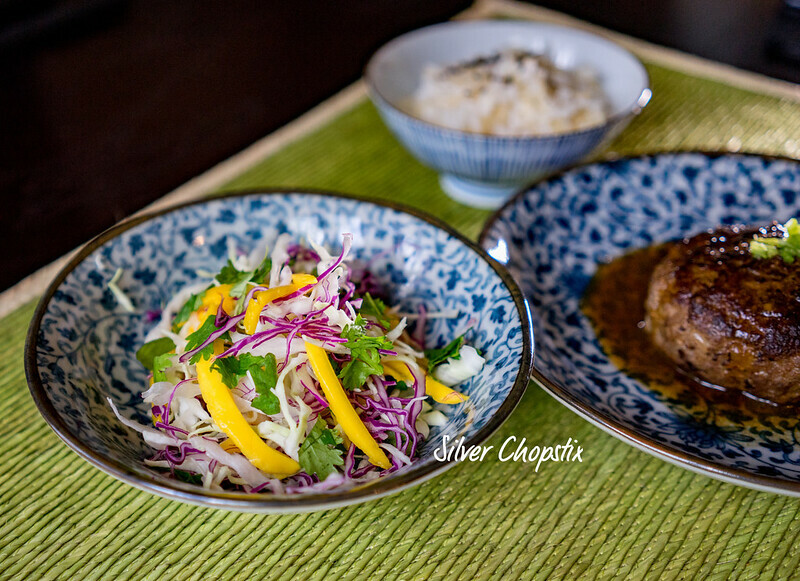 I also served this with a side dish of mango slaw. To make, thinly slice a quarter of white cabbage and 1 quarter of red cabbage, rinse well and soak in ice cold water for 30 minutes then drain. Take a ripe mango, peel and cut the flesh into thin strips. 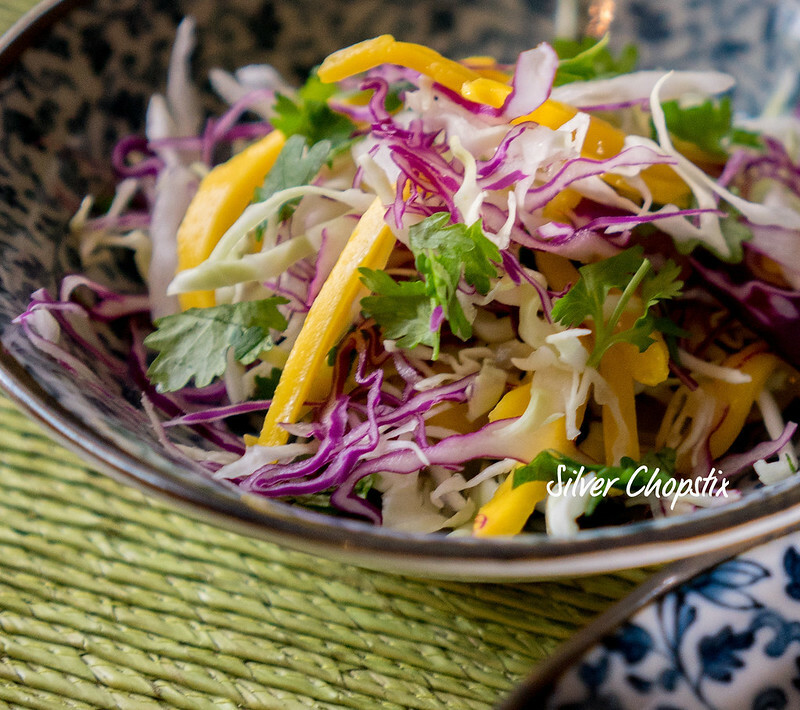 Combine your cabbage and mango and add a handful of chopped cilantro. You can dress this with a couple of tablespoons of roasted sesame dressing. I dressed our salad with the “House Dressing” from The Cheese Shop which I bought during a trip to Colonial Williamsburg.